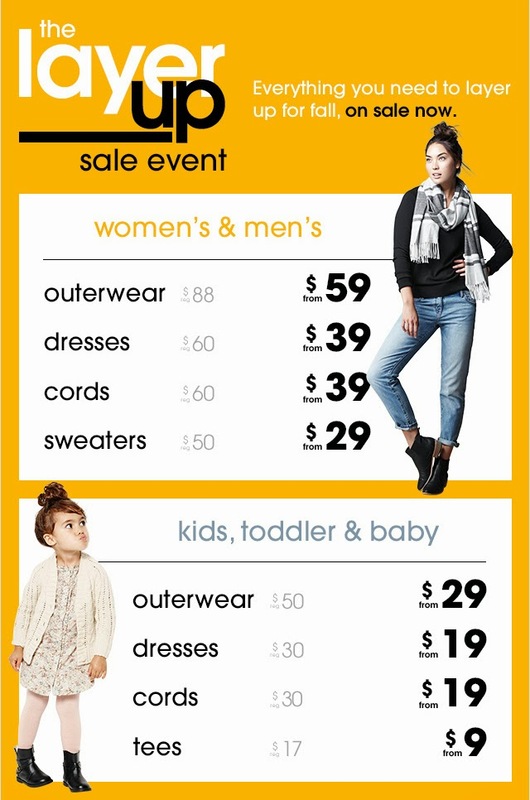 Thank-you, Gap, for this season-appropriate sale. Because who isn't shaking out last year's layers right now, thinking about a fall upgrade?! Stop by Gap Herald Square this week for great prices on boyfriend cords, merino cardigans, sweatshirt cardigans, and shift dresses. Sale ends September 29th in stores and online.